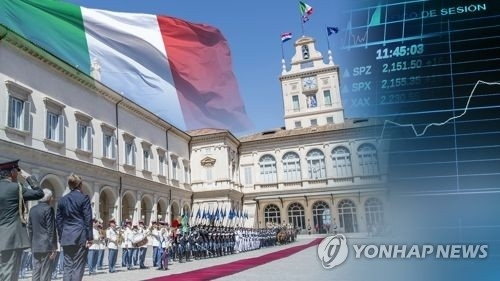 SEOUL, June 7 (Yonhap) -- Investors are keeping close tabs on various scenarios that could potentially lead to a "June crisis" amid key global market-moving and political events, observers here said Thursday. Increased volatility caused by rate hikes in the United States and eurozone risks, among other things, and the subsequent market adjustment are all likely, but it seems far-fetched to translate this as something that could lead to a financial meltdown, they pointed out. In May alone, the benchmark Korean Stock Price Index (KOSPI) backtracked 92.37 points, or 3.67 percent, from the previous month, to finish at 2,423.01. Foreigners and institutions led the decline by selling off 811.3 billion won (US$759.14 million) and 2.18 trillion won, respectively, during the one-month period. "Major events that could affect the macroeconomy are planned for this month, and it is true that statistics have shown that the equity market has performed relatively poorly in June," said Kim Hyong-ryul, an expert at Kyobo Securities. Later this month, the U.S. Federal Reserve is widely expected to raise interest rates, with policymakers there signaling at least two more hikes this year, citing strengthened economic outlook. "The spillover effects of higher U.S. interest rates on emerging economies would be large, as they could affect diverse areas, ranging from their current account balances to exchange rates and to inflation," said Daeshin Securities analyst Park Chun-young. "Money inflows into advanced markets chasing higher rates would cause decoupling, which would further drive investors out of the cooled-down emerging nations," he added. Experts, however, guarded against any scaremongering plots, saying chances are slim that the local stock market will actually undergo any drastic changes factoring in overall economic circumstances at home and abroad. "If history serves as any guide, ample and clear signs of economic recession come before any financial meltdown. But there seem few such cues out there now," said Lee Sang-jae, an expert at Eugene Securities. "U.S. Fed members predict that the U.S. economy will show an upward trajectory, and such an expansion can be a boon for South Korea," he noted. Another source of concern that has weighed down the market came from Italy, as a new round of elections there could be a factor this year, which would possibly lead to the country's departure from the European Union. "Memories are still vivid among investors about the debt crisis in Europe back in 2011 and 2012. But the Italy issue this time has a political twist that is making it a bit tricky to make conclusions anytime soon," Lee added. Pointing to a slowdown in the rise in global oil prices and Fed members' pursuit of a stable monetary policy, KB Securities' Kim Young-hwan said the U.S. central bank would not jack up the target rates faster than market expectations, and investors are not likely to make unusual moves. "Given that we also have weighty political issues in June, including the historic summit between the U.S. and North Korea, there is a chance that market volatility will grow further. But tight-range movements, as well as fluctuations, are quite natural flows in the market," Kim said. 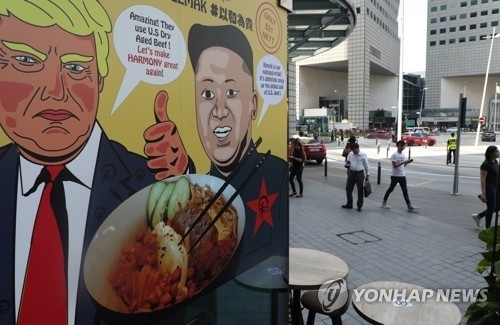 As the culmination of recent peace gestures surrounding North Korea, U.S. President Donald Trump and North Korean leader Kim Jong-un are scheduled to meet in Singapore next Tuesday for an unprecedented showdown on the communist country's nuclear weapons programs. Any headway in the talks could lead to considerable easing of tensions on the Korean Peninsula that have often contributed to the so-called Korean discount, a nagging source of concern for the local bourse and the economy as a whole. Reflecting growing optimism for the outcome of the talks, there have been moves by investors to buy stocks that can benefit from improved ties in recent trading sessions. The KOSPI added 0.69 percent to close at 2,470.58 on Thursday, extending its winning streak to a fourth straight session this month. The market closed for Memorial Day on Wednesday.